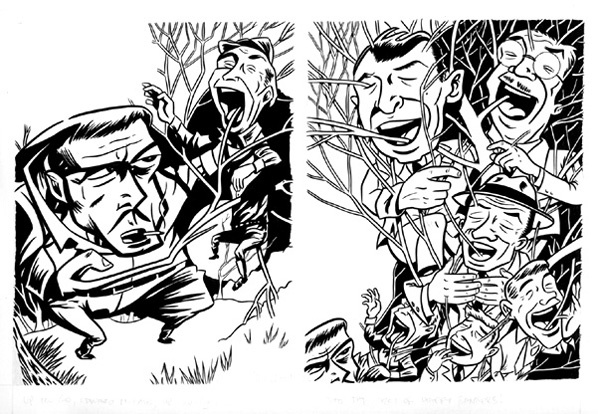 An unpublished two-panel page from an unfinished story about a man who became a tree. Pencil and india ink on bristol board. Art area is 12" x 7 1/2".